We the Indigenous People of Biafra (IPOB) under the command and leadership of Mazi Nnamdi Kanu the greatest prophet, seer and visionary of all time, note with sadness and utter humiliation, the belittling of Ohaneze Ndigbo, South East Governors and the entire Eastern political class over the rejection of an Igbo man for the lowly position of the Secretary to the Government of the Federation (SGF) by Buhari's administration. Despite lobbying discreetly and openly for this somewhat inconsequential position of SGF for months, the entire political class in the South East were roundly rebuffed by Major General Muhammadu Buhari, who instead gave the position to another Northerner. This has left the supposed apex socio-cultural organisation to take to the pages of newspaper to vent their frustrations at Buhari. A very unedifying spectacle unworthy of leaders of a once proud and gifted race. To make matters worse, this public rejection of Ohaneze Ndigbo and repudiation of the values of the Igbo political elite by the Buhari administration is confirmation, if such were needed, that the hasty proscription and banning of IPOB was a costly mistake on their part. They failed to appreciate that without the impetus and urgency that IPOB provided, any request made to the Government of Nigeria to right the injustices meted out to Easterners is bound to fail. 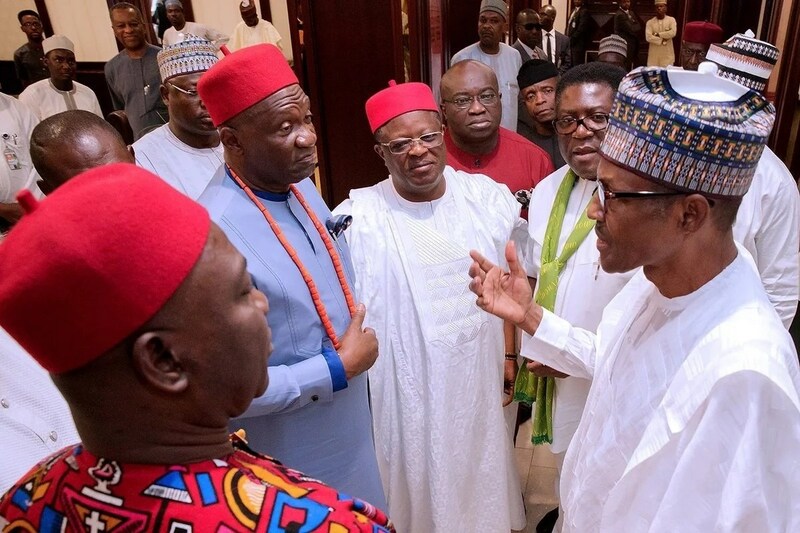 Chief Nnia Nwodo and the 5 South East governors should, without delay, apologise to the people for misleading them into thinking that sacrificing IPOB and Nnamdi Kanu will appease the core North to the extent of granting them their sole wish of Igbo political appointments into Buhari's administration. It is imperative to state for record purposes, that it was the proscription of IPOB by Ohaneze Ndigbo and South East governors that gave the military the impetus to hastily tag IPOB a terrorist organisation. We must not also forget that it was this same request for political appointment into the office of the SGF that led Ohaneze and South East governors to sanction Operation Python Dance II with its attending deaths and imprisonment without trial of IPOB family members. Our ancestors will be turning in their graves to think that the blood of 92 young men and women- 28 of them killed in Kanu’s compound, were sacrificed for the promise of mere political appointment that never materialised. This is the worst humiliation our people have had to endure for nearly 50 years. A once proud race has been reduced, through poor political calculation, to trading the blood of their children in exchange for nonexistent political appointment. Hopefully this humiliating episode in the history of our people will teach all and sundry a lesson that leadership requires a lot more than making yourself acceptable to your enemies in return for material gain. Freedom is a painstaking and arduous process of sacrifice, even when it may appear expedient to take the compromised easy way out. With this shameful episode, the Igbo political class have now lost out on every front, because they chose to destroy the only hope of the people, IPOB, just to prove to Arewa core North how loyal they are. As at today, Igbo political actors don't have independence, they don't have confederation, they don't have much vaunted restructuring, no second Niger Bridge, Enugu-Port Harcourt Expressway is not fully rehabilitated, Enugu-Onitsha Expressway is getting worse by the day, no infrastructural development and finally their much cherished SGF has eluded them too. They can now see that only IPOB has the solution to the plethora of problems bedevilling our people in Nigeria today. It is never too late for Ohaneze Ndigbo leadership and South East Governors to say they got their priorities wrong.